$500 deposit secures your spot. Your life for the next 8 days will be turned upside down (in the most amazing way possible) - we have the beach, rain forest and an obstacle course surrounding our property, a pool and gazebo kitchen centered for all our late nights and early morning coffees. The beautiful spacious rooms each have A/C for cool off time and plenty of WiFi to get you the Instagram love from daily roundups from our personal photographer following you around your most epic days. We will hike, surf, race, workout, practice yoga, have pool parties, eat delicious fresh locally sourced meals created by own personal chef and partner SALUD, watch sunsets that will give you life, and of course we will all leave with 40 best new friends that come from all over the world. This is how to vacation, this is how to train, and this is how to live! Flights seem to be very expensive for this trip so we are recommending you fly to San Jose then take a smaller plane to Nosara Airport. We recommend FlySansa https://booknow.flysansa.com/search This is much cheaper than originally flying to Liberia Airport. Although we will still be providing transportation still from Liberia airport December 26th and back January 2. Note this is almost a 3 hour drive. If you have any questions please email us at dude@surfyogabeer.com Once there we can arrange pick up times. Today we'll get to know each other and our amazing location! Get ready to experience SYB to it's fullest. We begin with wake up calls, more on this later, go straight into morning workouts, beach games, yoga cooldown, a dip in the ocean to clean up, and a hearty breakfast all before it's even 9am. 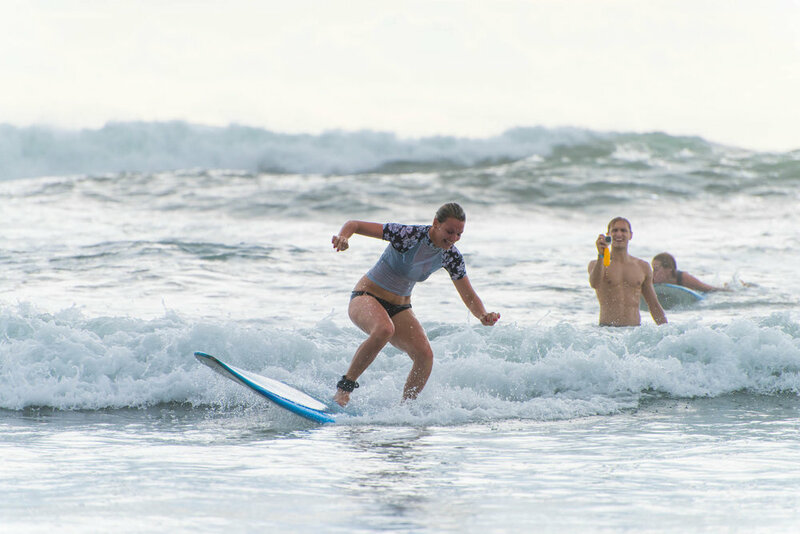 Then head to explore the surf town of Nosara, grab a green juice, talk to locals, head to the beach, get into surf lessons, spend a few hours getting wiped out, grab lunch, ride a golf cart and enjoy a cold beer laughing with friends all before it's even 4pm. We head back to our compound, get into our yoga minds, watch the sunset as we practice and feel a deep connection to those who you haven't even spent 24 with yet. Dinner is served at 9pm, dancing is rampant, and lights go low and the disco balls come out. Where this night takes you is your story, but this is just day 1. Similar to day 1, we mix it up with a few things to keep you on our feet. 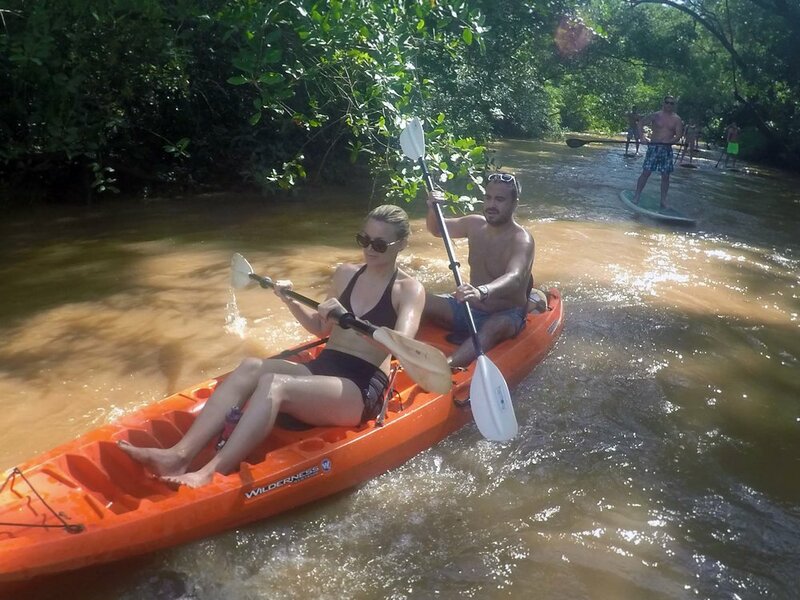 Then we head out for our tour down the river to see the wildness of Nosara. This is also the night we head into town for dinner, bring your dancing shoes, or wait it's a beach town, shoes are not necessary! We're taking on the obstacles today. Get ready to overcome challenges mentally and physcially as we get a full run through our properties obstacle course! We're also adding a few extra runs up our hill, this is the day to see your strongest self emerge. We head to Whales Tail beach, this is the most beautiful beach you will ever go to... We'll enjoy drinks and watch the sunset here. We'll be having dinner at home and we've also got a surpise this night! Similar to day 1, mixing up our workouts and gearing towards a full day of surfing in Nosara! This is the big day to get those action surf shots for your gram, we'll have a drone following you shred (or wipe out) on those waves. We'll stick around towards sunset, have a few beers, and grab dinner with our sandy feet in our favorite local spot! This is either a chill on Nosara beach and surf day or an optional adventure day. We have options for horseback riding, atv tour, fishing adventures, wildlife santuary visit, or grocery shopping with our food partner SALUD. Tonight we party at a beautiful restuarants over looking the beach and local fireworks on the waterfront. Get ready to boogie!!! We begin this day with a hangover, but it's ok because then we hit a hike to the local waterfalls. On this hike you'll see howler monkeys, do some cliff jumping, and get a feel of the spiritualiy of Nosara. Our workouts will be afternoon based, followed by the most beautiful and spiritual sunset yoga practice and an inner connection workshop. We finish this last night with a bon fire, our SYB awards ceremony and lot's of fun surpises throughout the night! Everyone will be checking out at 9am, some earlier some later. We will have an SYB bus taking people to Liberia and another one taking people to the local Nosara airport. Until next time... or until we throw our next party because this friendship just started! s a movement specialist, coach and author of Intrinsic Strength: A Breakthrough Program for Real-World Functional Strength and True Athletic Power. Fun fact he was named Sexiest Trainer alive by People Magazine! Passionate yoga instructor and corporate wellness ambassador, Nick has spent almost fifteen years in a corporate desk job and likes to share his teachings to let others strengthen, lengthen and chill. Nick also holds certifications in Pilates (mat and mega-reformer), kettle bells, meditation, and group fitness and is an avid yogi, meditator, skier, triathlete, and freestyle rapper (yes rapper). Beyond the camera Erik brings a loving touch to every adventure he’s on. Every photo will be your next profile pic, and now you have the freedom of leaving your phone at home and letting the experience take over. Eddie, who owns a couple cafes in New York City, is a SYB Costa Rican local. He's been here with SYB so many times, he drives from our house to town blind folded! Joking.. Be prepared for some amazing localized meals. Finding pleasure in excel sheets and large data, Samir is here finding ways of taking SYB global. 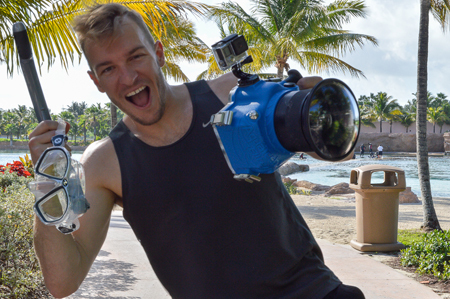 You’ll find him on our adventures looking for ways to make the experience ever better, from fresh water after workouts to tequila shots on our nights out! With enough space for 45 of us. 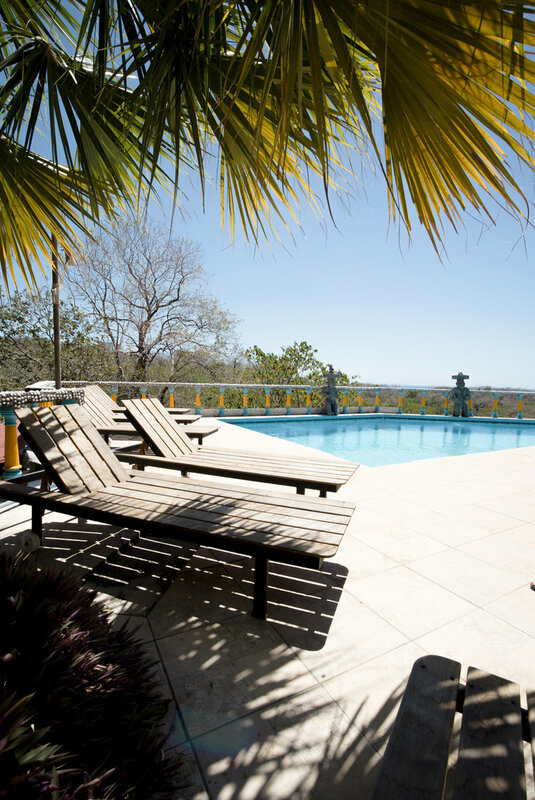 this 25 acre property has 20 spacious and unique rooms with A/C, private bathrooms, patios and stunning ocean views. 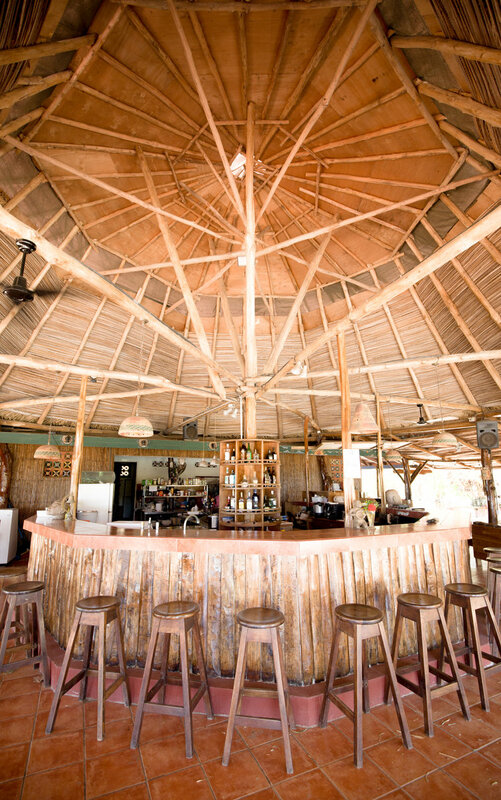 The main lounge area has WiFi, our own restaurant, bar, swimming pool and sunset viewing deck. There are outdoor gym & yoga facilities, several hiking trails available for use and the Pacific Ocean is just a short walk down manicured paths. This is a tropical beach adventure, not a yoga retreat or luxury travel experience. But our property is very beautiful with very comfortable and clean rooms. As we're in the middle of the jungle you'll have to keep an eye out for bugs, tiny little scorpions, and spiders. As long as you keep the doors shut you should be good. Almost everyday you can expect morning workouts, sunset yoga, obstacle course run throughs, and beach games. We'll be pairing that with big group dinners, nights out in town, and lots of dancing! You can always take it at your own pace, skip workouts or adventures and stay back at the house. Flights seem to be very expensive for this trip so we are recommending you fly to San Jose then take a smaller plane to Nosara Airport. We recommend FlySansa https://booknow.flysansa.com/search This is much cheaper than originally flying to Liberia Airport. Although we will still be providing transportation from Liberia airport December 26th before 2pm and back January 2 after 1pm. Note this is almost a 3 hour drive. If you have any questions please email us at dude@surfyogabeer.com Once there we can arrange pick up times. We are going to Rayos Del Sol in the Guanacaste Province of Costa Rica. 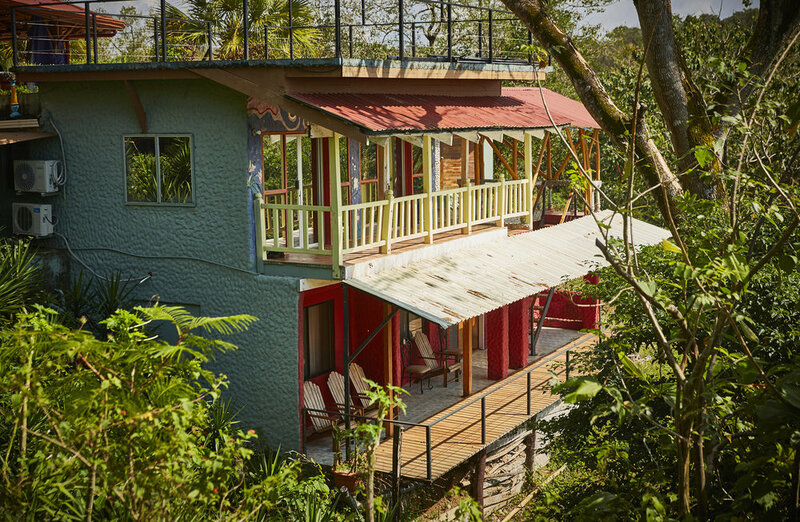 They do not have an address so the best way to explain is it is located on the Nicoya Peninsula along the Pacific Coast, in between the towns of San Juanillo and Ostional on Route 160, just 10km north of Nosara. The property sits up on top of a hill overlooking the ocean and a 10 minute walk to the black sand beaches of the Ostional Wildlife Refuge. We'll be doing some adventures throughout this trip that require a bit of self awareness of the surrounding area. Remember this is the jungle. Dehydration is a common cause of feeling unwell. We require everyone to bring their own refillable water bottle and drink lots of water. Avoid drinking too much alcohol. Of course you will want to enjoy a few beers and try some of the local rum around the first night, however don't make yourself a liability. Nobody wants to have to look after a drunk person. Tropical hangovers are a nightmare and you don't want to miss out on the day activities if you are trying to recover from the night before! Your skin will burn easily in the tropics especially ya'll winter hybernating New Yorkers. Get the proper gear, and protection! We know this is going to be a huge highlight for you. We have a long 3 year partnership with New York's SALUD cafe, who prepares every breakfast and most lunches and dinners. Not only that but the cocktails themselves are worthy of those $17 specialty drinks from NYC. Also don't worry vegetarians and vegans, we cater to ya'll as well. There has been no incidents that we've heard of or come across that would have us concerned. You are safe in the area and very safe if you stay with us. DO NOT FLUSH ANY PRODUCTS, INDCLUDING PAPER, DOWN THE TOILETS. This is a third world country and the sewage is not the same as the US. There are waste baskets next to bathrooms, please use those.